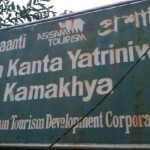 There are several lodges available near Kamakhya Temple meant for accommodation to tourists and pilgrims. 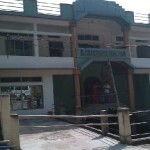 Based on the limited information we could gather, below is the list of lodges and guest houses at Kamakhya Dham. Please See the bottom regarding Rates. The Accommodation Rates at most of the lodges are usually arbitrary and fluctuating and you need a fair idea of the prevailing rates to get the best prices. During peak seasons like Durga Puja, Ambubachi Puja, the prices should be around Rs. 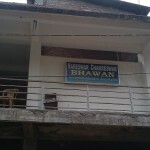 500-700 per room per day for 3 Bedded Room, while Rs. 300-500 for 2 Bedded Room. Again beware of middlemen and approach the owners directly. A smart way to do so is to call the phone number written outside the lodges or rest houses. Cheaper room for two days in. 28th & 29th April. 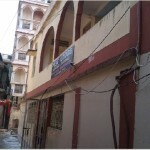 I required standard room for 3 adult, period will be 20.06.2015 to 29.06.2015. I M A TOUR OPERATOR FROM MAHARASHTRA, PUNE. PLANNING TO VIST AROUND 7 TH OF AUGUST BY NOON. NEED GOOD CHEAP LODGE DOUBLE BED. 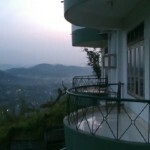 Only the second number for Kamakhya Debutter Guest House is up to date on this website. The lady at the guest house advised us to book 6 months in advance.